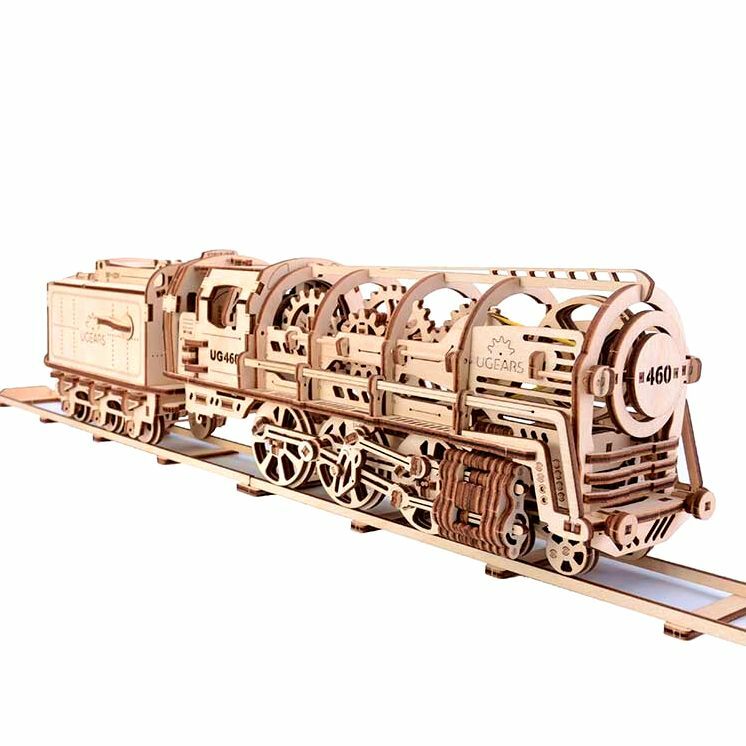 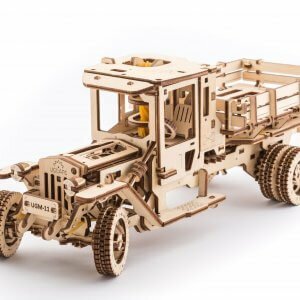 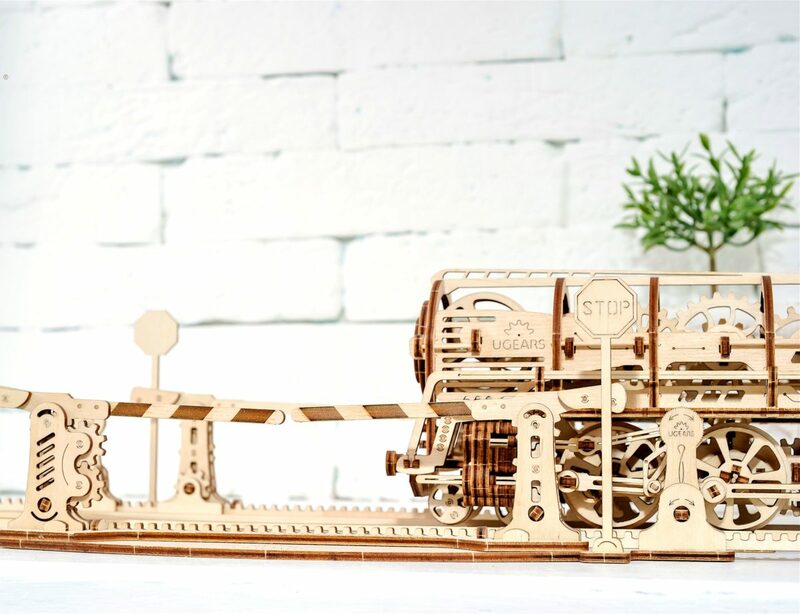 Celebrate the era of steam power with this ingeniously put together set. 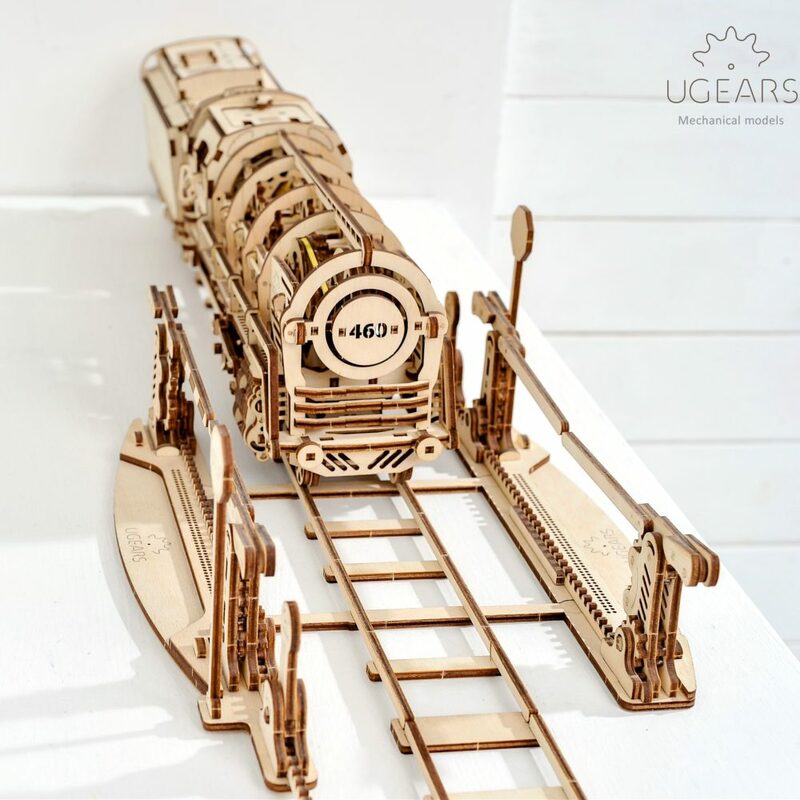 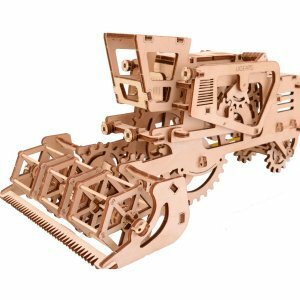 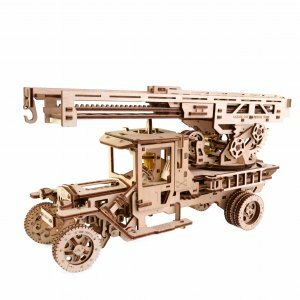 A richly detailed icon of 19th century technological inventions, Ugears Locomotive features elements of a real-life steam engine train. 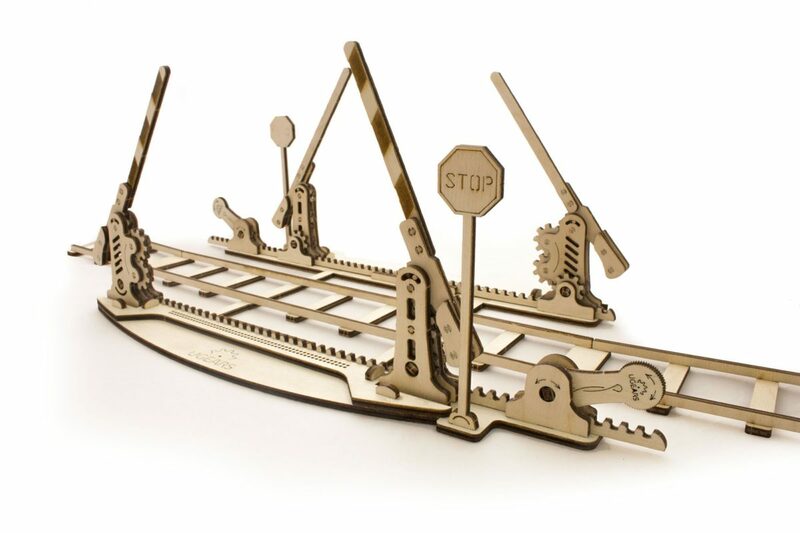 Where is a train – there is a rail station, platform and rails – and this set includes them all! 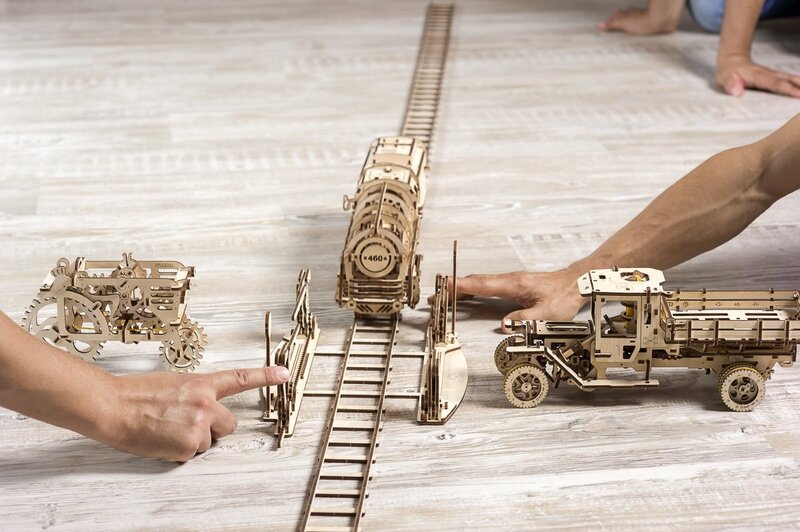 Alone with Locomotive this set offers 13ft of tracks, crossing point with stop sign and movable gates; as well as a beautiful reproduction of a 19th century European rail station featuring a clock, lamp posts and a bench.